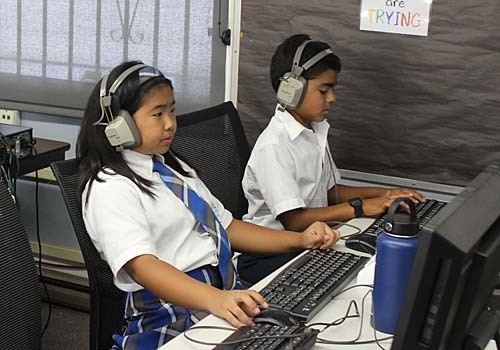 St. Anthony of Padua School is committed to educating 21st century learners in a modern world. 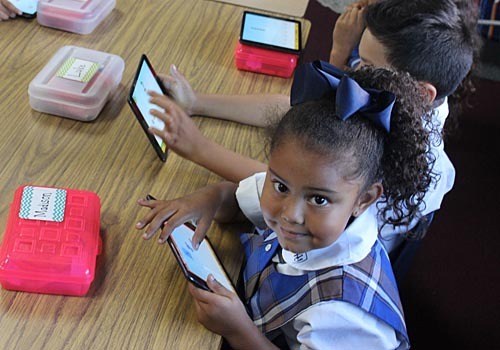 In association with school administration and generous donors, St. Anthony of Padua school has made major strides in attaining new technology for its students. In January 2017, we received a grant from the Shea Family Charities to make renovations to our Science Lab. The space was designed to encourage students to work in a team setting. Students have access to top of the line science technology which includes microscopes, smart whiteboards, and chromebooks. Access this new technology promoted students to launch their own STEM club. We also received another grant where funds were utilized for the purchase of 10 new MacBooks, 40 Chromebooks, and 40 new iPads. These ipads are incorporated into our curriculum and used on a daily basis for STAR testing, ST Math, and AR (an accelerated reading program), which are all online programs that are an extension of our curriculum. 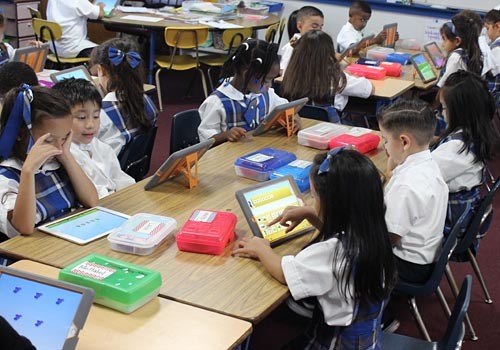 All students have access to these ipads; however, grades K-2 have priority access since the school has a Bring Your Own Device” policy (BYOD) in place for grades 3- 8. Each teacher also has an iPad and a classroom projector, allowing them to supplement their lesson plans with many great multimedia educational applications. 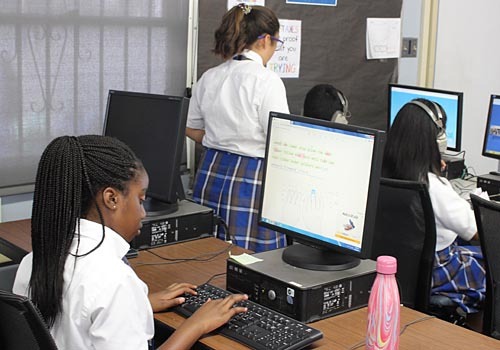 In 2014, the school revamped its learning lab by adding a projector and apple TV, Mac desktops along with all core programs, including a Typing Program. Teachers utilize this space by assigning projects to students that require research. The school is currently seeking funding to expand its Media Lab with better equipped filmmaking technology. The goal of this learning environment is to introduce students to filmmaking as a form of communication and illustrating how the communication skills learned in the classroom can be applied to other visual mediums. 1) This sort of integration of technology into classrooms is extremely new and there are a lot of “hiccups” that are inevitable. All educators are extremely comfortable with textbooks, notebooks, and pencils, but few are taking large steps in revolutionizing the education process. Our teachers at St. Anthony’s are on board with becoming revolutionaries with this change in education and creating a learning community to remain at the top of what we do best – teach. 2) No device can ever replace a good teacher. I’m proud to boast the variety of gifts, talents, and techniques that our teachers employ. However, I’m most proud and thankful for the amount of “heart” that goes in to the very serious work they do.